Murder, violence and corruption are words synonymous with organised crime. Its long and bloody history influences all our lives whether we know it or not. But what lies behind these shadowy organisations? Where did they come from and how did their influence become so widespread? 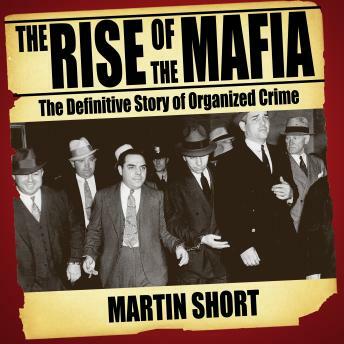 In this extraordinary book, leading crime investigator Martin Short reveals the shocking truth of how the Mafia and other criminal organisations maintain their strength through public demand, as well as extortion and murder. The Rise of the Mafia traces the roots of modern organised crime. Martin Short has met hundreds of people with first-hand knowledge and has interviewed some of the most powerful mob masters and informers in the business as well as speaking with key police and FBI officers. Excellent book with many first hand accounts of how the Mafia developed a stranglehold on every aspect of American life. Only covers up to the 80s but I knew that anyway as I remember the ITV documentary series Crime Inc. that this book is based on.